The Australian Mint, (Prostanthera Cuneata) is THE plant to visit in the garden. It is usually busy with honeybees, bumble bees, wasps and hoverflies. Australian Mint in flower on May 25th. There is a lovely spread of Speedwell in the meadow. Wonderful to see the honeybees like it as much as I do. Honeybee on Speedwell with white pollen sac. June 9th. I have seen just a few honeybees on the Chive flowers. I planted this as green manure cover last year under the sweetcorn. It has overwintered and is now edging a bed of peas. I think it is a hop trefoil / yellow clover. I have been disappointed by by how little is attracted to it, but it does get a little honey bee traffic. Yellow pollen sac on this honey bee. June 9th. 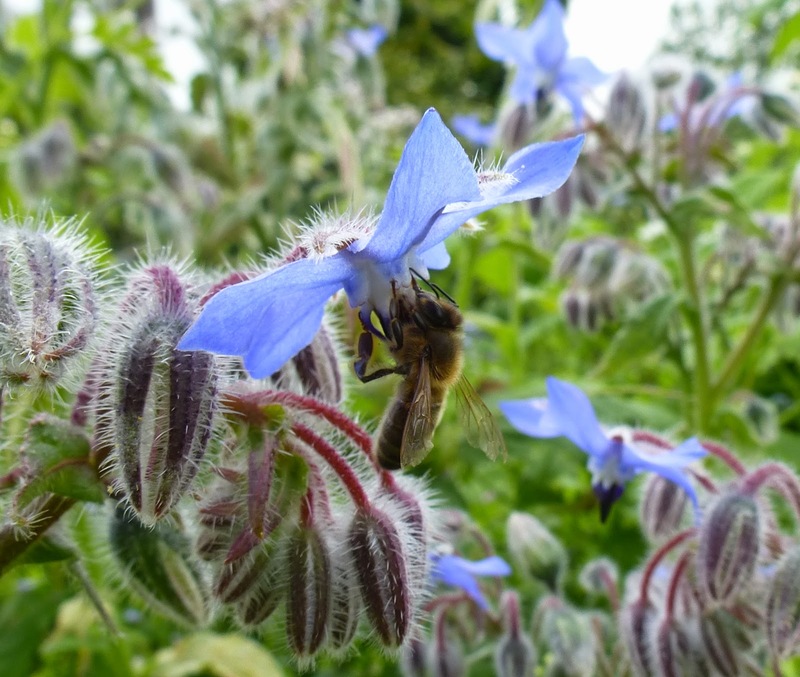 Borage is flowering. June 9th. The Embothrium continues to flower. This photo May 25th. I have observed the honeybees searching for and finding the crack that runs the length of the long tubular flower to reach the nectar at the base. The Poached Egg Plant,Limnanthes douglasii, continues too. June 9th. 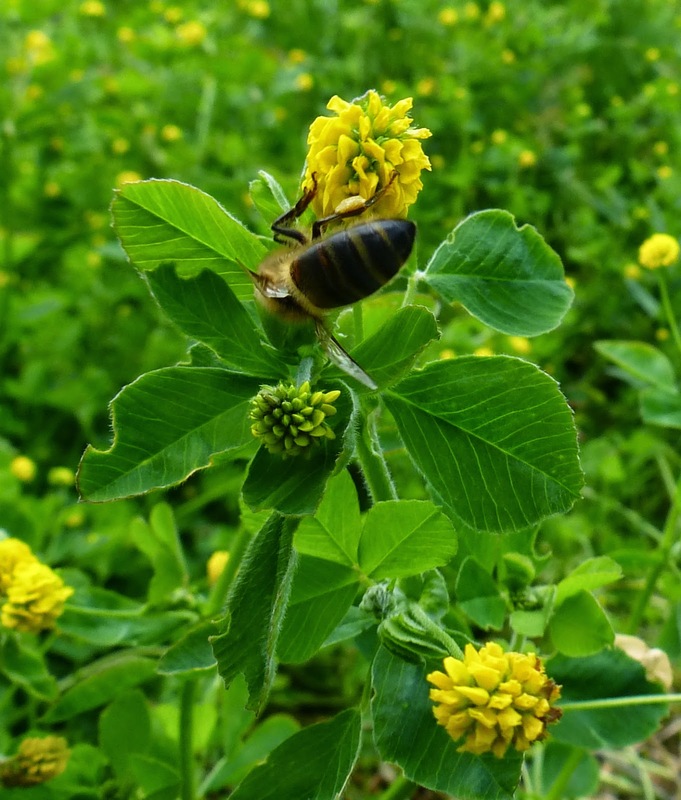 The bee on the trefoil...what kind is that? It sure is dark. Great photos by the way...and don't you just LOVE the Poached Egg Meadowfoam? I am not sure what trefoil it is Pat. The poached egg plant is finished already, I have lots drying to keep the seed. From first thing in the morning to late evening it was covered in honey bees, (and the odd bumble). The humming was just wonderful.